The LeMetric Hair Design Studio / beauty / Has your hair been shedding more than you feel to be normal? Has your hair been shedding more than you feel to be normal? 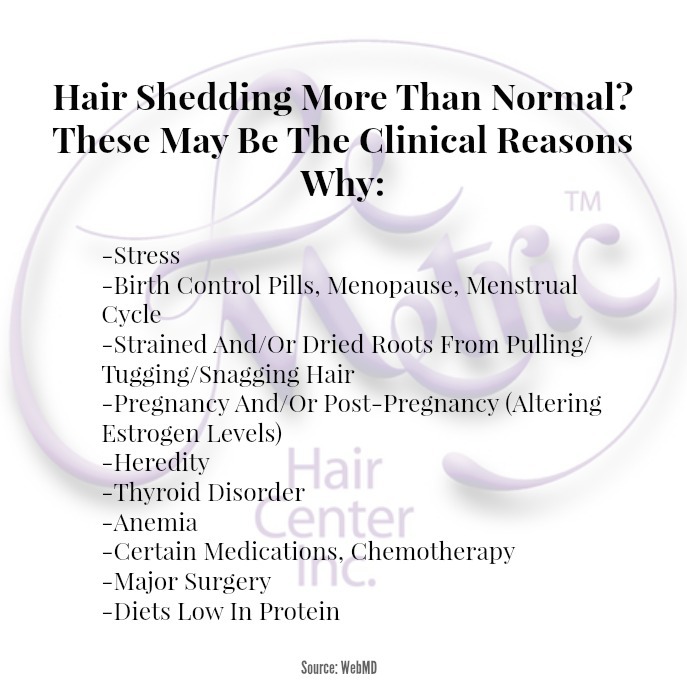 We’ve gathered up a list of the clinical reasons you may be experiencing hair shedding/hair loss so you can pinpoint exactly what may be the cause of it. We hope this helps ladies!